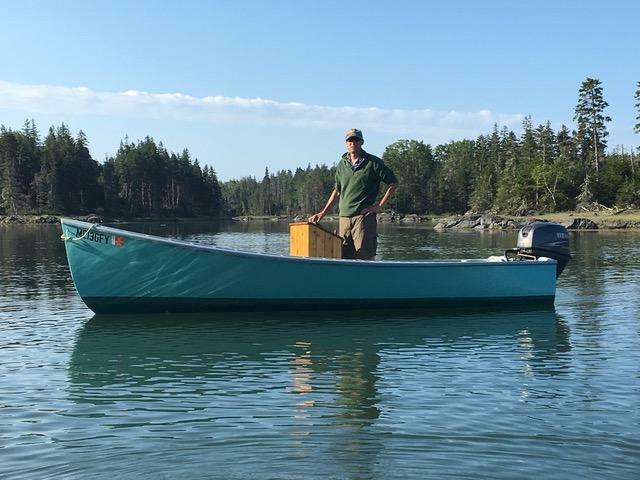 I have been hesitant to post about this, because I felt if would make me too sad, but I just received some pictures from Maine of the Jericho Bay Lobster Skiff in her new home. They clearly show that selling her was the absolute right thing to do. For new followers, the Jericho Bay Lobster Skiff is the 1971 ORIGINAL of a well-known modern strip plank/fiberglass version featured in WoodenBoat magazine. I resurrected and rebuilt her over several years just prior to going on the Great Loop, so roughly 2009-2011. 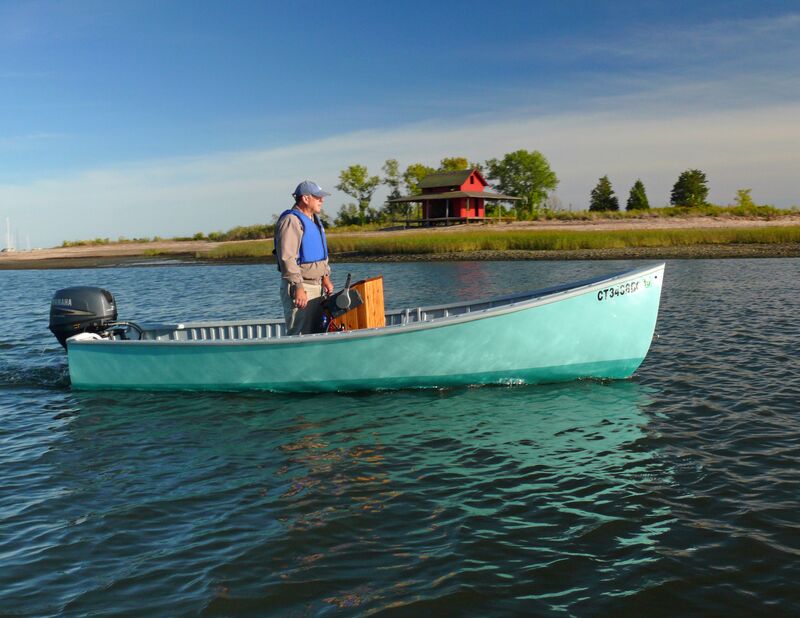 Here’s the thing about the skiff: she was designed by Joel White and built by Jimmy Steele. In my world, those are immediately recognized Famous Names. But to put it in another context, the skiff is like a colt by Secretariat out of Genuine Risk, or a child of Danica Patrick and Dale Earnhardt Jr. or a building sketched by Picasso and built by Frank Gehry. You get the idea. 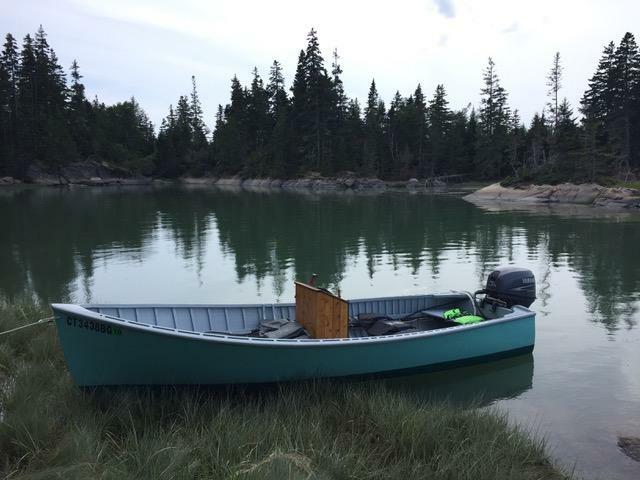 I couldn’t have hand-picked a better new owner — appreciative of the provenance, experienced with wooden boats and able to offer her a great new home on Vinalhaven Island. The skiff project taught me so many of the skills I needed to build the Tardis. I will be forever grateful. Great Boat and contribution to the wooden boats community. Thank you for sharing your news on the Original. I built one and love it. Cheers to the new owner.